Do You Have One? How Do You Fix It? 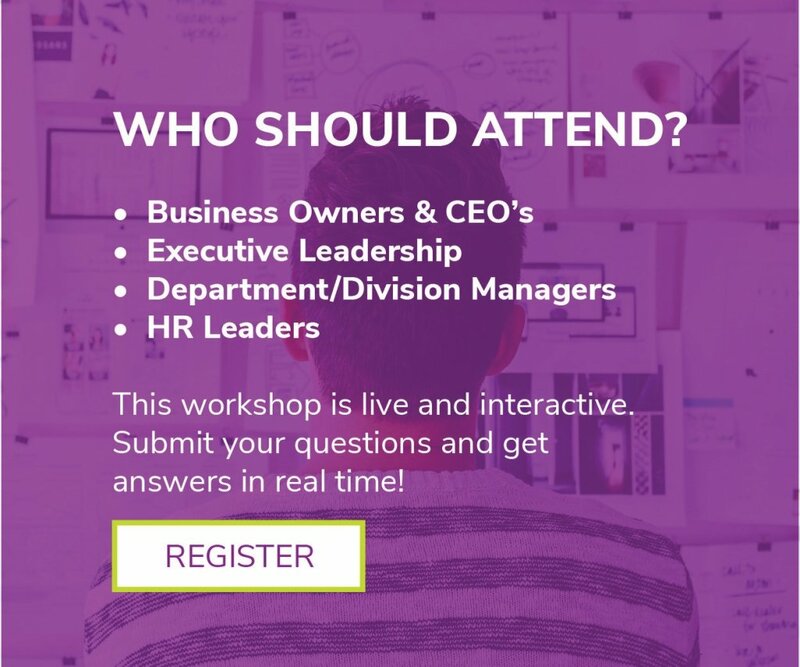 This live workshop will walk you through actionable ways to identify a culture crisis within your organization and the best next steps to resolve it. By LIVE and INTERACTIVE we mean we won’t be doing all the talking. We’ll spend about 20 minutes helping you identify the company culture issues that may be lurking within your organization and give you effective strategies to begin to remedy those problems, and then we’re turning it over to you. We’ll answer your questions in real time. We all know that businesses cultures that facilitate happy, engaged employees experience lower turnover and better business performance. The struggle is getting there. In just 45 minutes, this workshop will help you begin to effectively bridge the gap. TOPIC: The Company Culture Crisis – Do You Have One? How Do You Fix It? Also, what do you think of our new look? Tell us! And then tell your friends who lead organizations about this workshop series that will make them look like business all-stars.